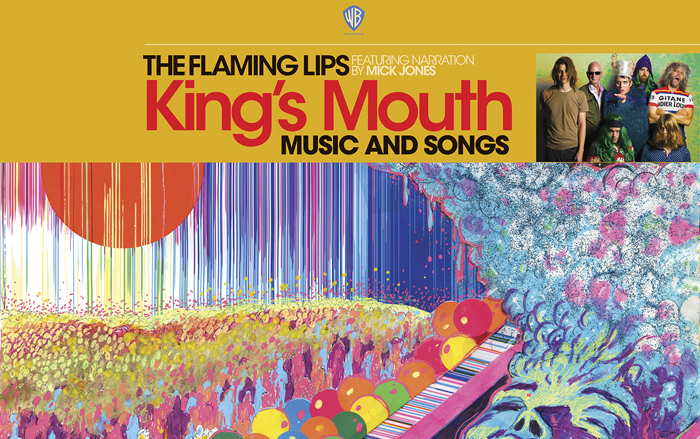 The Flaming Lips: il nuovo album | Nerds Attack! 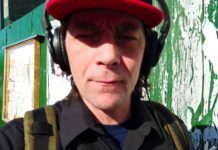 Si chiama ‘King’s Mouth’ il quindicesimo album della band americana (a due anni da ‘Oczy Mlody’) che viene così presentato nel giorno del RSD. “King’s Mouth, a concept album about a community mourning the noble death of a benevolent monarch, is part of a larger art installation of the same name. Introduced in 2015, the installation has showcased its psychedelic visuals and soundscapes through North America in museums such as Meow Wolf in Santa Fe, NM, the American Visionary Art Museum in Baltimore, MD, the Pacific Northwest College of Art in Portland, OR and Wayne’s own creative space, The Womb, in Oklahoma City, OK. A true handcrafted marvel, it consists of a giant metallic head that welcomes spectators inside. Once inside of the foam month, an LED lightshow begins in tandem with music from the album. Now, the record doubles as the sonic companion to the exhibit and allows fans to experience the aural side at any time”. 12 tracce che vengono arricchite dalla voce narrante di Mick Jones. Inoltre a completare il progetto troviamo anche “a literary tome titled, King’s Mouth: Immerse Heap Trip Fantasy Experience, which tells the story of the King’s Mouth through words and visuals by Coyne”. ‘All For The Life of The City’ il primo brano in ascolto. Articolo successivoUp & Down #347. E che nessuno si offenda.